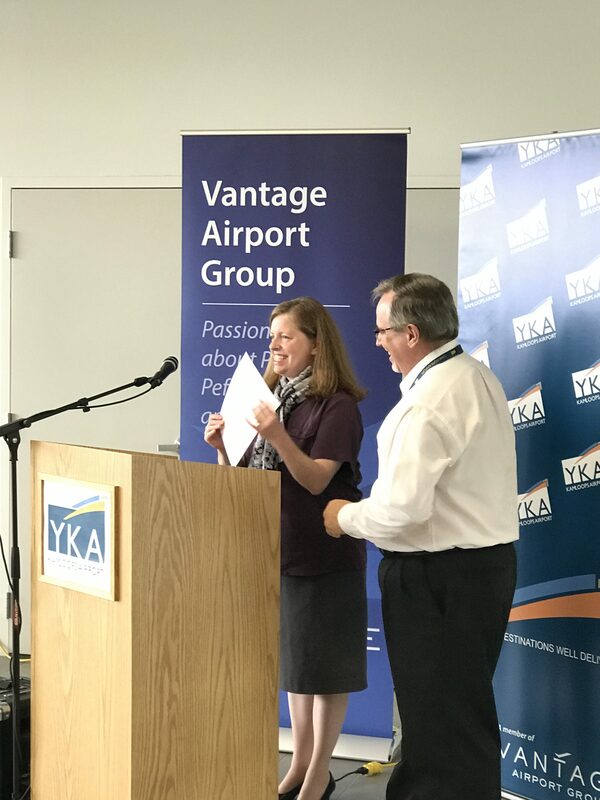 On September 7, Vantage Airport Group marked an important transition of leadership at Kamloops Airport (YKA), welcoming Heather McCarley to the role of Managing Director. At a handover event attended by community stakeholders and media, Vantage introduced Heather and acknowledged the tremendous contributions of outgoing Managing Director, Fred Legace, who has retired after 14 years at Kamloops Airport. During this time, Fred played an integral role in the growth of the airport, from securing more passenger flights to overseeing many improvements that have enhanced both safety and the passenger experience. These include terminal redevelopment, the introduction of aircraft fire and rescue services and airfield and runway rehabilitation programs. 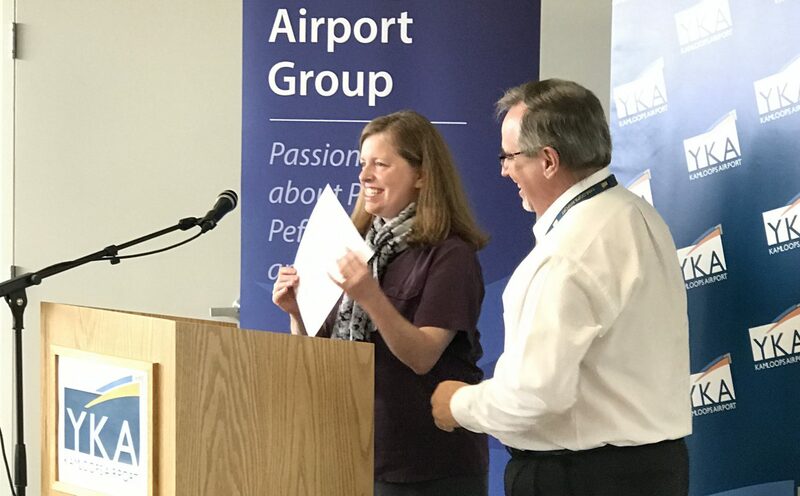 Fred also championed the importance of community involvement, positioning Kamloops Airport as an important local contributor. Heather comes to the Vantage network airport from Canada’s second-largest airport and Vantage strategic partner, Vancouver International Airport. She brings to the role more than 25 years of airport operations experience amassed at both smaller regional airports and major hub airports. Heather’s operational track record is strong, thanks to work on such diverse files as regulatory compliance, community relations, airside safety and inspections, winter operations, emergency planning and safety management systems. She has also acted as a liaison to Transport Canada, NAV Canada and emergency response agencies. We extend a warm welcome to Heather and best wishes to Fred.